Trade unionist, leader in uMkhonto weSizwe and Member of Parliament. Eric (Stalin) Mtshali was born in Durban, Natal (now KwaZulu-Natal). After completing high school he became active in the anti-apartheid movement in Natal.Mtshali became active in the trade union movement, organising workers in Durban in the 1950s. His organising began with the Dock and Harbour Workers Union in 1951. He later moved into organising textile workers. In 1955 he assisted in established Southern African Clothing and Textile Workers’ Union (SACTWU). In the same year he assisted in collecting ‘freedom demands’ as part of the African National Congress (ANC)’s process of writing the Freedom Charter. In 1957 Mtshali was recruited into the South African Communist Party (SACP) by Stephen Dlamini, M.P. Naicker, Wilson Cele and Harry Gwala. The following year he joined the ANC. In 1961 Mtshali was part of the Congress Alliance’s group which founded uMkhonto weSizwe (MK). He was elected as a member of the command structure of MK’s Natal underground. In July 1962 Mtshali left South Africa and went into exile to join uMkhonto weSizwe (MK) in 1962 without being able to inform or say goodbye to his wife or children. Eight years later, without having had any contact, his wife died. He was sent to the Union of Soviet Socialist Republics (USSR) and Cuba to receive military training. On his return Mtshali became Chief of Personnel in MK in Tanzania. During this time Mtshali worked closely with Moses Kotane transporting military hardware from Tanzania into the Zambezi valley in Zambia. In 1964/5 Mtshali became the first editor of Dawn magazine, a position he held until 1969. During this time Mtshali helped found the ANC’s intelligence division. With his intelligence work and responsibility for rescue operations he assisted in the Wankie and Sipolilo Campaigns of 1967. 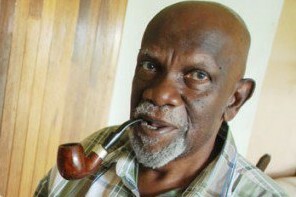 During this time Mtshali led a group of 12 MK and Zimbabwe African People’s Union (ZAPU) cadres to rescue a section of the Luthuli Detachment that had been surrounded by Rhodesian forces. The group crossed the river in three dinghies, however, on the way two boats capsized with most of the occupants being attacked by crocodiles. In 1971 he was elected into the central committee of the SACP. In the same year he began serving as the ANC’s Chief Representative in Tanzania, a position he retained until 1976. During this time he also spent two terms at the Party School in the Soviet Union. Mtshali then went to work as the South Africa trade union representative at the World Federation of Trade Unions in Prague, Czechoslovakia. He worked with the trade unions in Anglophone and Francophone Africa, Argentina and the Philippines.Mtshali and about 40 exiles attempted to enter South Africa using a Soviet Union-owned vessel, The Aventura, in 1970. However this attempt was abandoned when they realised that the venture was compromised. During the 1980s Mtshali worked to revive the trade union movement inside South Africa. He also served on the ANC's Revolutionary Council. Mtshali returned to South Africa in 1991. Between 1995 and 2000 he was the Deputy-Commissioner of Criminal Intelligence in Kwa-Zulu Natal. In the 2000 elections Mtshali served as the ANC councillor of the eThekwini Municipality. Mtshali has been a Member of Parliament for the ANC since 2004. He has sat on the parliamentary committees on Labour, on Higher Education and Training and on Human Settlements. He also serfved on the Central Committee of the South African Communist Party (SACP). In 2015 the South African Government conferred the National Order of Mendi for Bravery in Silver on Eric Mtshali. Eric Mtshali passed away in Durban on 12 October 2018. To watch a speech given by Msthali click here. Mngoma, N. (2015). National recognition for stalwart from the Daily News, 9 December, online. Available at https://www.iol.co.za/dailynews/news/national-recognition-for-stalwart-1... . Accessed on 15 October 2018.